As E-Commerce Week draws to a close, Amgad Shehata, Senior Vice President of International Public Affairs and Strategy at Alliance partner UPS, explains why implementing four elements of the World Trade Organization’s Trade Facilitation Agreement will be fundamental to realising the potential of e-commerce. This year’s E-Commerce Week hosted by the United Nations Conference on Trade and Development (UNCTAD) brought together governments, CEOs, international organisations, academics and civil society to highlight the potential benefits of e-commerce and discuss how we can overcome barriers to realising them. We know that e-commerce can help small and medium-sized enterprises (SMEs) enter new markets and grow exponentially. It can expand choice for consumers. It can enable inclusive growth that benefits society. And it is already growing fast – UNCTAD’s 2017 Information Economy Report found the global value of e-commerce increased to $25 trillion in 2015 up from $16 trillion in 2013. 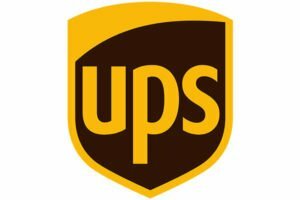 Over the past week UPS participated on panels to articulate to policy makers what our global customers need in this booming e-commerce ecosystem – governments need to make the right investments in information and communications technology and progressive regulations that keeps pace with technological development. Crucially, we also need customs procedures at borders capable of absorbing the increase in cross-border trade that the e-commerce boom can create. When goods are sold online and sent across the globe, companies can face unnecessary red-tape at borders. This makes trading more costly and time-consuming, particularly for SMEs which are often moving many small shipments. These barriers to trade can prevent us from realising the true potential of e-commerce. When it comes to making it easier to move goods across borders, however, we have a powerful tool in the World Trade Organization’s Trade Facilitation Agreement (TFA), and countries that want to create the right environment for e-commerce to flourish should focus on implementing it – particularly articles aimed at simplifying documentation and introducing pre-arrival clearance, data-driven risk assessment and a Single Window clearance process. Each of these can make trade more efficient and less costly, enabling economic growth. Watch our short video to learn why these four TFA elements are so important. That, of course, begs the question, how do we help countries implement the TFA? UPS opted to get involved in the Global Alliance for Trade Facilitation, an initiative bringing together governments and businesses to deliver trade facilitation reforms in developing and least developed countries, because of its unique approach to public-private partnerships. Participating in the Alliance goes far beyond the typical business involvement in many other initiatives. It’s more than attending events, adding our logo to materials or giving money. The co-creation process of the Alliance means that governments and businesses take shared responsibility for delivering trade facilitation reforms and projects to tackle red-tape at borders are designed from the ground up by government agencies and local businesses whose goods cross borders daily. For the first time businesses and governments are approaching trade facilitation reform as equal partners. The Alliance is already making progress on those four areas of customs modernisation through its projects in Colombia, Ghana, Kenya and Vietnam. Our experience so far has seen us lend our in-house experts in technical engineering, legal and brokerage directly to in-country Alliance projects. We have these experts because we face these types of non-tariff barriers to trade around the world every single day. The Alliance gives us a platform to lend that expertise to delivering real change. When it’s easier to trade, more trade happens, and that’s when the full potential of inclusive growth through e-commerce will really be unlocked.